It’s because sericea is a forage crop that has been found to control internal parasites in small ruminants. The high level of condensed tannins in the legume crop is given credit for its anthelmintic properties. Condensed tannins also make the crop bloat resistant, as is the case for other tannin-containing legumes such as birdsfoot trefoil. But bloat resistance and parasite control are just the beginning of the condensed tannin story and its future role to someday change the way legumes are fed and improve environmental stewardship. Simply stated, tannins are chemical compounds that bind proteins and protein-breaking enzymes (proteases). They are found naturally in some forage legumes but less often in grasses. Tannins are variable in where they are expressed in the plant and when they are expressed based on environmental conditions. This becomes a challenge when breeding plants for just the right amount of tannin that will express across a wide range of environments and at different growth stages. Too high of a condensed tannin content can suppress forage digestibility. Not all tannins are created equal; some bind tightly with proteins, others do not, depending on their chemical makeup. Given that condensed tannins can protect protein during the forage storage period and the ruminal digestive process, protein utilization can be significantly enhanced. This is because more of the protein can be utilized in the lower gastrointestinal tract, and less of the protein nitrogen will ultimately be lost to the atmosphere as ammonia emissions. Grabber cites a research trial done at the U.S. DFRC where the birdsfoot trefoil was substituted for alfalfa in a dairy ration. The cows responded with 10 pounds more milk per day and higher protein-use efficiency. Other studies documented ammonia loss from manure was reduced by 25 percent when condensed tannin diets were fed at modest levels. This is a huge environmental benefit. By contrast, a similar feeding trial to the one just described was done in 2017 and no to little milk production response was obtained. 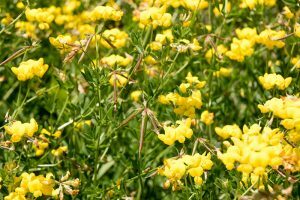 It’s thought that the ability of the tannins to bind the protein differed in the two trials even though both used birdsfoot trefoil. As the situation currently stands, the condensed tannin found in forage legumes is like a wild horse waiting to be tamed. 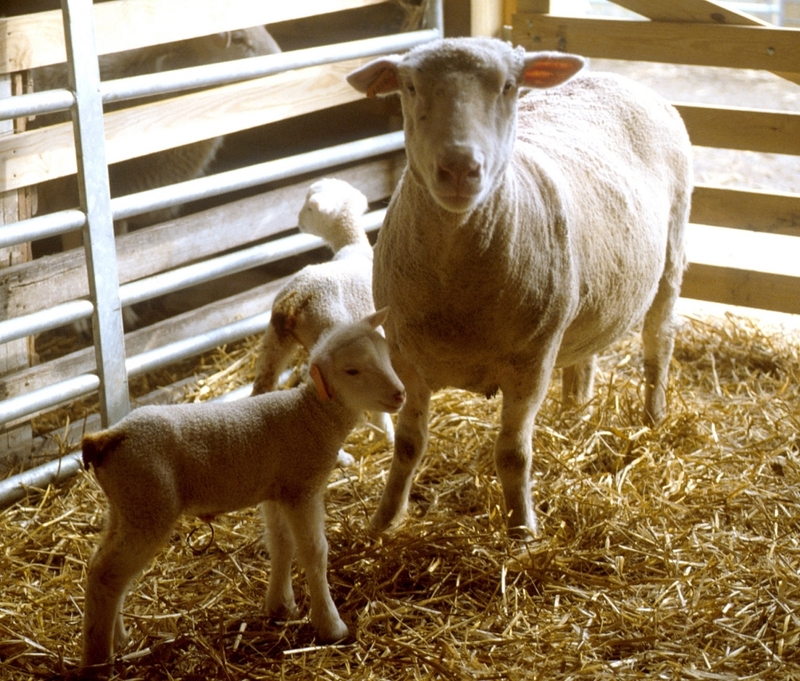 Once it is, the potential benefits are numerous for nearly every type of ruminant livestock class. For alfalfa, tannin-containing plants are likely to be the next big thing. According to Grabber, scientists at the DFRC have developed several new birdsfoot trefoil varieties with appropriate condensed tannin types and concentrations. The USDA scientist believes that before large gains can be made, improved analytical methods will be needed to measure not only condensed tannin concentrations but also their protein-binding ability. Ultimately, scientists will need to figure out how to get the right type and amount of condensed tannins in plants. Further, it will have to be stable across different environments and in the right plant parts. The challenges are many, but once met, it’s my belief that condensed tannins will turn the forage world upside down. Posted by Braden Campbell at 8:00am March 26, 2018 Posted in Forages and Pasture and tagged Forages and Pasture, Nutrition, Parasites. Bookmark the permalink.